Olive oil can also be used for frying. The smoke point should not be exceeded, (lowest temperature at which the smoke generation begins). 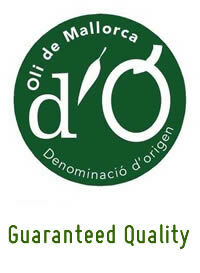 This point for virgin olive oil “Oli de Mallorca” is at about 130 to 180 °. Enter a small piece of the meat in the hot oil still smoldering. If it sizzles, the oil has the right temperature. Oli Novell; fresh unfiltered oil, do not to use it for frying. The special flavor will be lost. Store the oil before using it in a cool storage room. It connects better with other foods. Sprinkle the frozen bread with a few drops of water and olive oil, so you get a crisp crust. 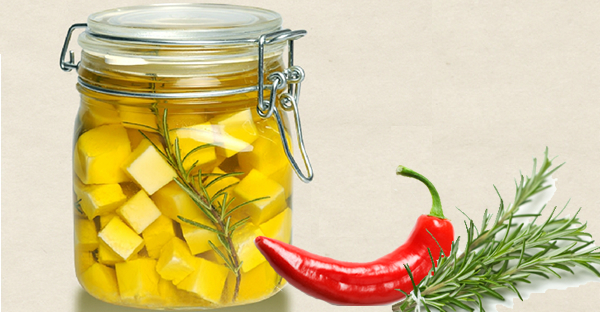 Preserving vegetables, cheese and herbs. 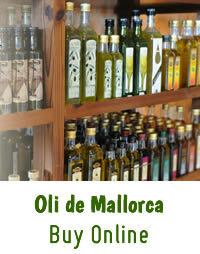 Foods are preserved yet by soaking in olive oil in Mallorca. The food should be dry or cooked. Especially: pickled herbs, even from the garden.